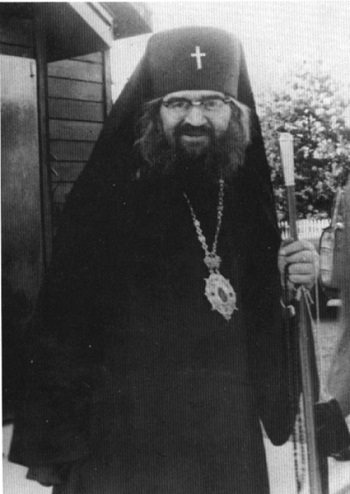 In 1963, the St. Herman of Alaska Brotherhood was founded with the blessing of St. John Maximovitch, Archbishop of San Francisco and Western America (Russian Orthodox Church Outside of Russia) as a missionary brotherhood for the dissemination of the Orthodox Faith, primarily through the printed word. The brotherhood chose as its patron a holy missionary monk of the American land, Fr. Herman of Alaska, who would later be glorified as a saint of the Orthodox Church. 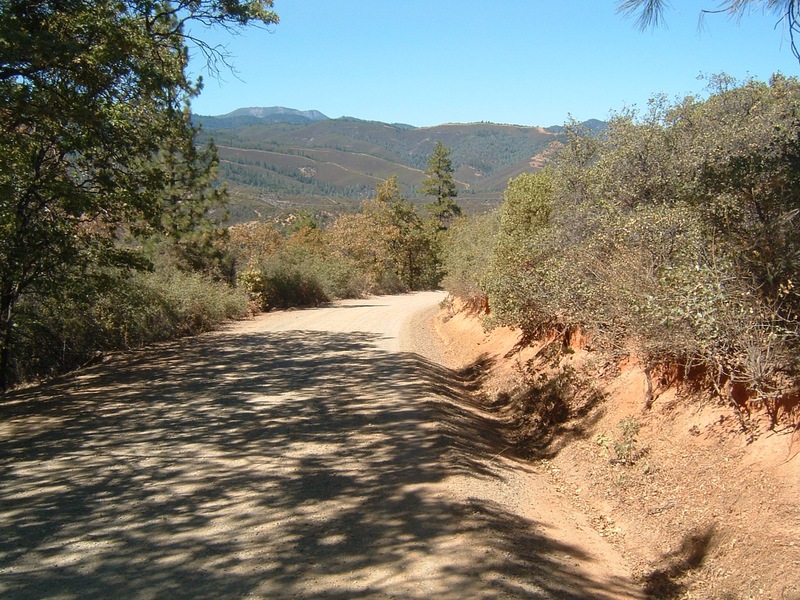 In 1969 the brotherhood moved to the mountains of northern California in order to pursue a monastic life in the wilderness. The following year, the first monks were tonsured, marking the beginning of the St. Herman of Alaska Monastery. Amidst its monastic labors, the St. Herman Monastery continues its missionary work by publishing books and its bimonthly journal, The Orthodox Word. Its co-founder, Fr. Seraphim Rose, has since his repose become one of the best-loved spiritual writers in the Orthodox Church, especially in traditionally Orthodox countries. In the year 2000, the St. Herman Monastery was received into the Western American Diocese of the Serbian Orthodox Church. 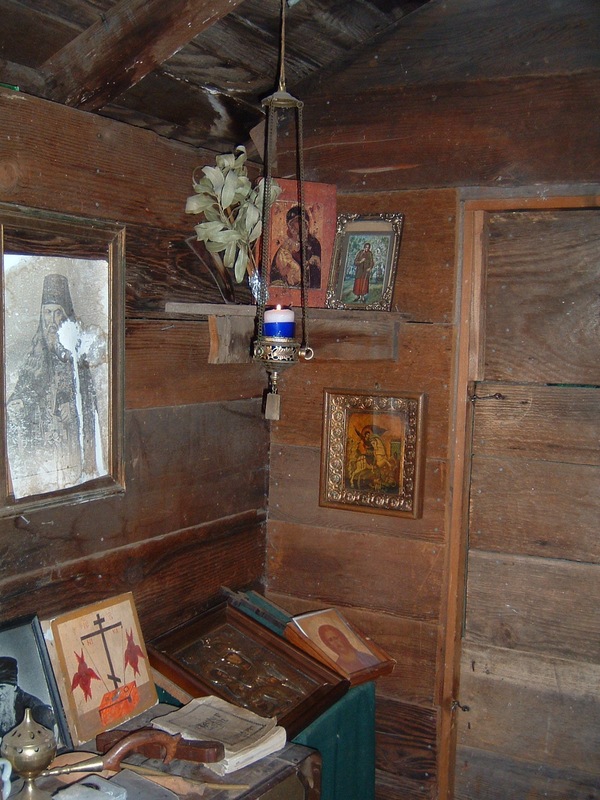 The monastery is now under the omophorion of His Grace Bishop Maxim (Vasiljevic). Its superior is Abbot Damascene. 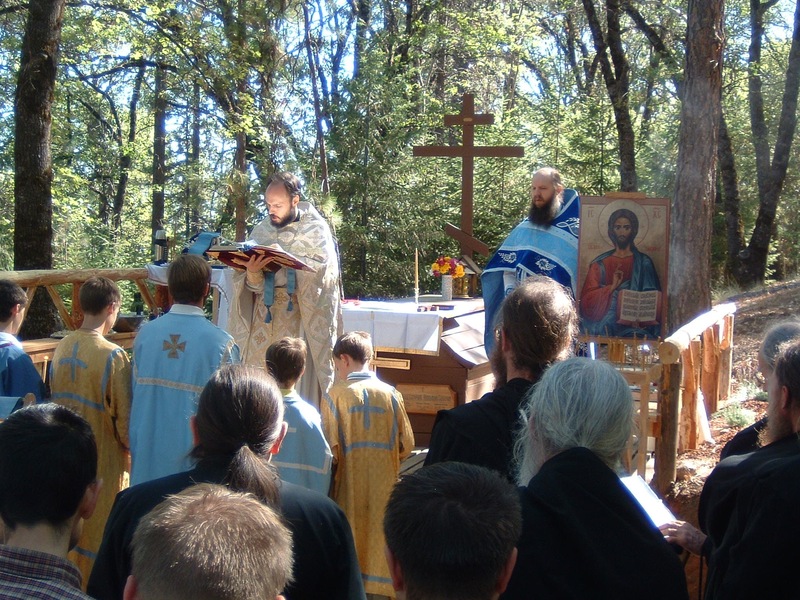 I made my first pilgrimage to St Herman of Alaska Monastery in early September 2007, for the annual commemoration of the repose of its co-founder, Hieromonk Seraphim Rose († Sept. 2, 1982). 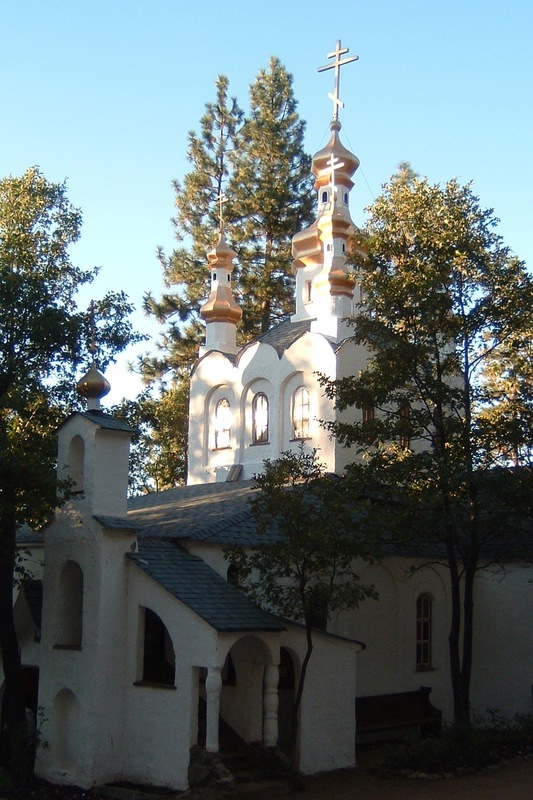 I made the photographs below on that journey, and look forward to returning to this important and inspiring center of Orthodox monastic life in North America. Looking down the dirt road which leads up the mountain to the monastery. Hieromonk Damascene (now Abbot) welcomes Archbishop Joseph of Bulgaria for the Annual Pilgrimage. 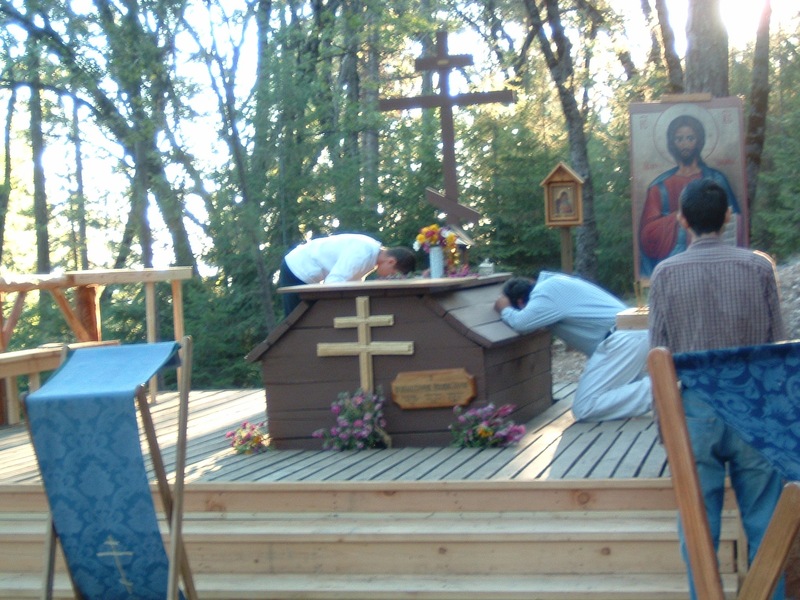 Divine Liturgy, held at the outside chapel, over Blessed Fr Seraphim’s grave. Fr Geoffrey Korz of All Saints of North America Church, Hamilton Ontario, reads the Gospel. 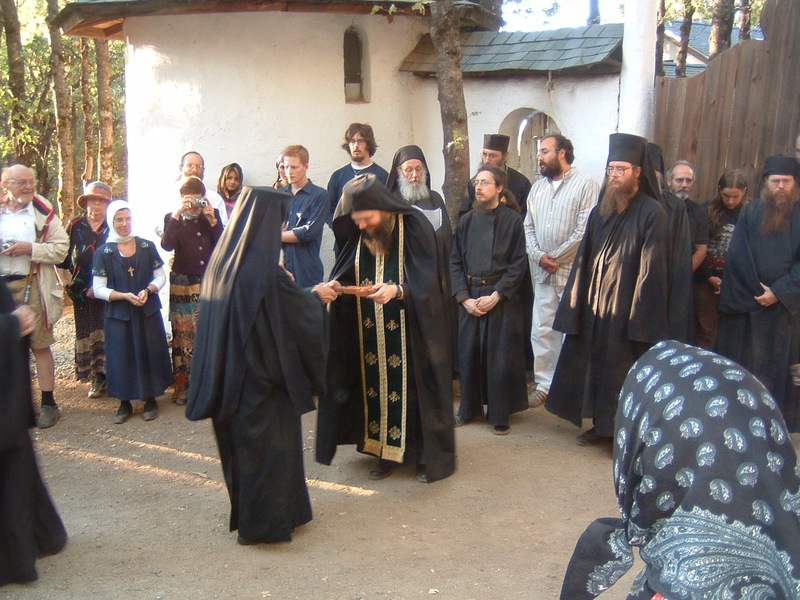 Hieromonk Damascene at right. 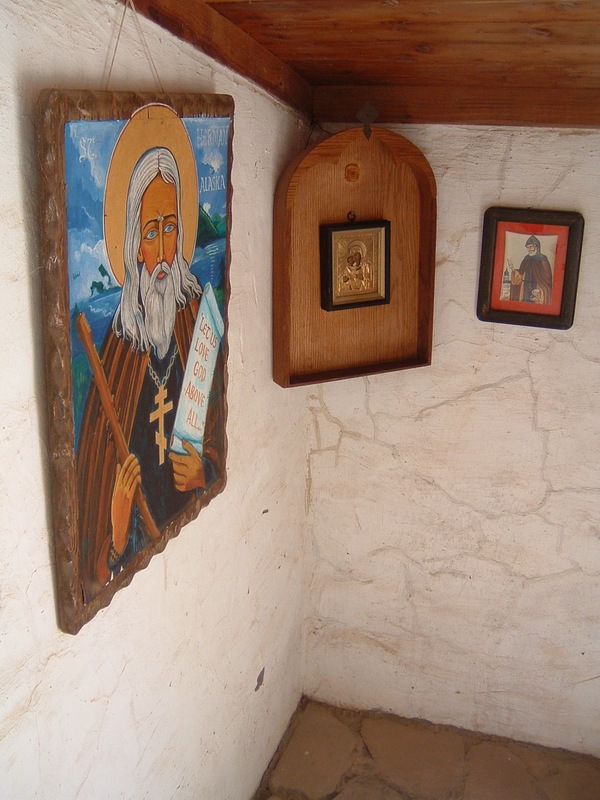 Icon of St Herman of Alaska in the main church, painted by monastery co-founder Fr Herman Podmoshensky. In the reliquary case below the icon are vestments belonging to St John Maximovitch, who blessed the founding of the St Herman Brotherhood. Icon shrine in a covered alcove on the outside of the main church. Pannikhida for Hieromonk Seraphim Rose, at his grave. 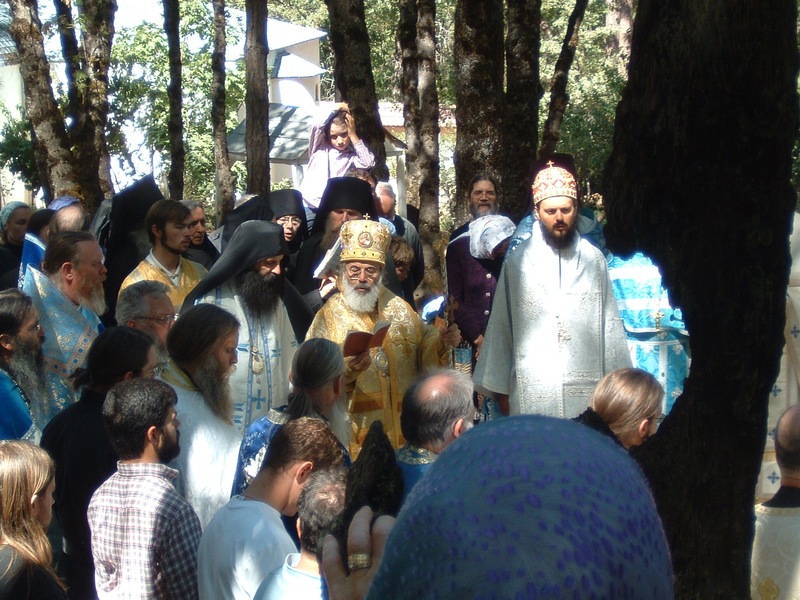 L to R: Bishop Porfirije of Serbia, Archbishop Joseph of Bulgaria, and Bishop Maxim, Serbian Archdiocese of North America, Western Diocese, concelebrate the Pannikhida for Blessed Hieromonk Seraphim Rose. 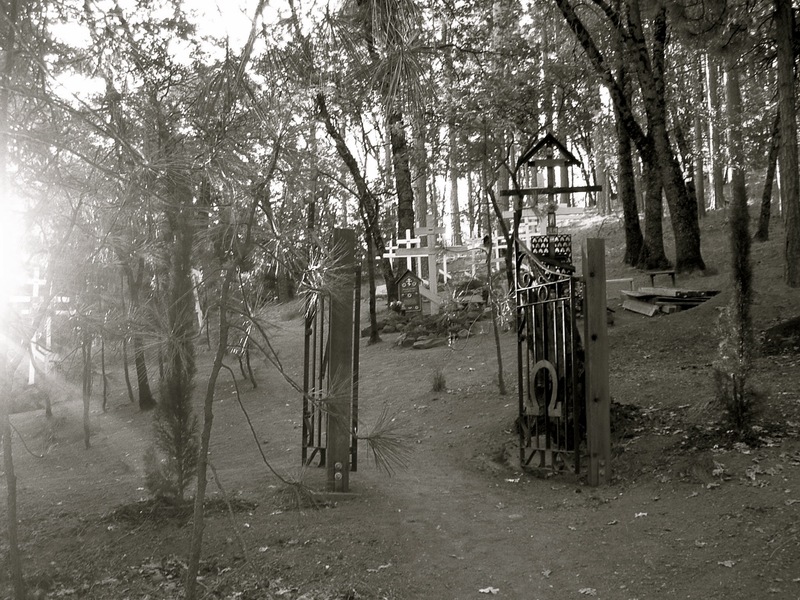 Gateway to Heaven – the monastery cemetery. Pen and ink iconographic drawing of Fr Seraphim Rose. Recommended reading: the biography of Fr Seraphim Rose, by Hieromonk Damascene. A revealing glimpse into Fr Seraphim’s life and thought, through his correspondence with Fr Alexey Young (now Schemahieromonk Ambrose). 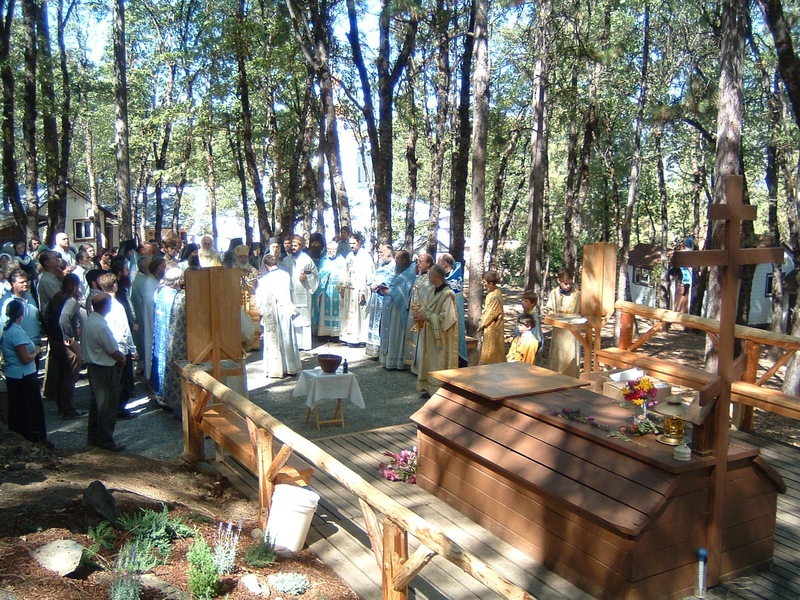 Pilgrims venerate Fr Seraphim and seek his intercessions at his grave. Many slip written prayer requests through the slats in the wooden canopy. 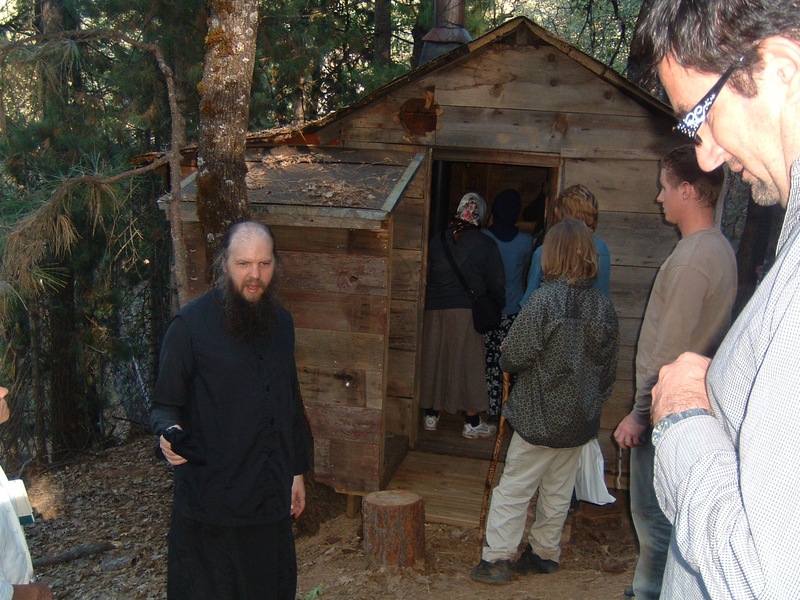 Fr Damascene welcomes pilgrims to Fr Seraphim’s forest cell, still preserved (and used!) as it was during his life. 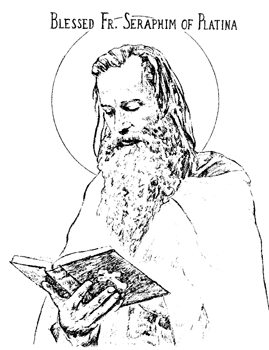 St John Maximovitch, spiritual father to the young Eugene Rose, who blessed the formation of the St Herman of Alaska Brotherhood.